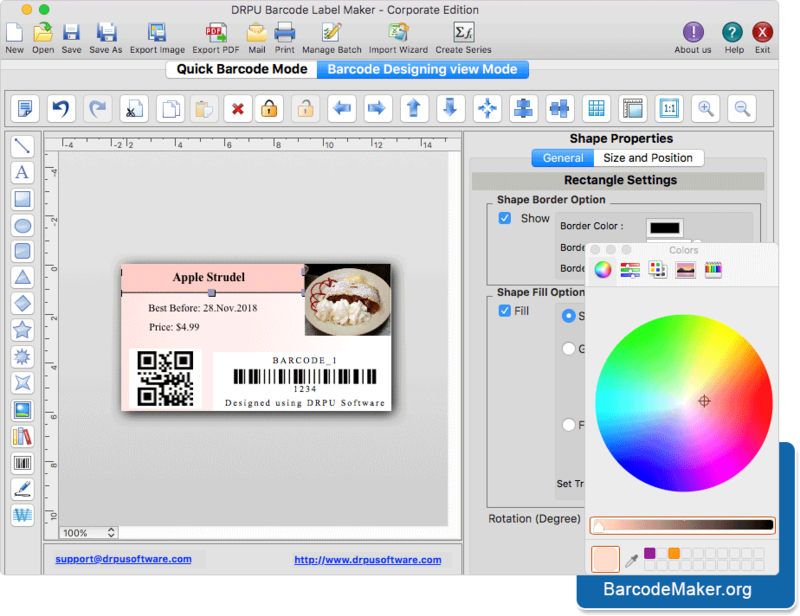 Mac Barcode Maker Software Corporate Edition allows MAC users to generate and print barcode coupons. Program provides various drawing tools such as rectangle, line, ellipse, text, rounded rectangle, barcode, signature, watermark, images etc. for designing barcode labels. Using inbuilt email settings, you can send designed barcode labels at specified single or multiple email IDs.